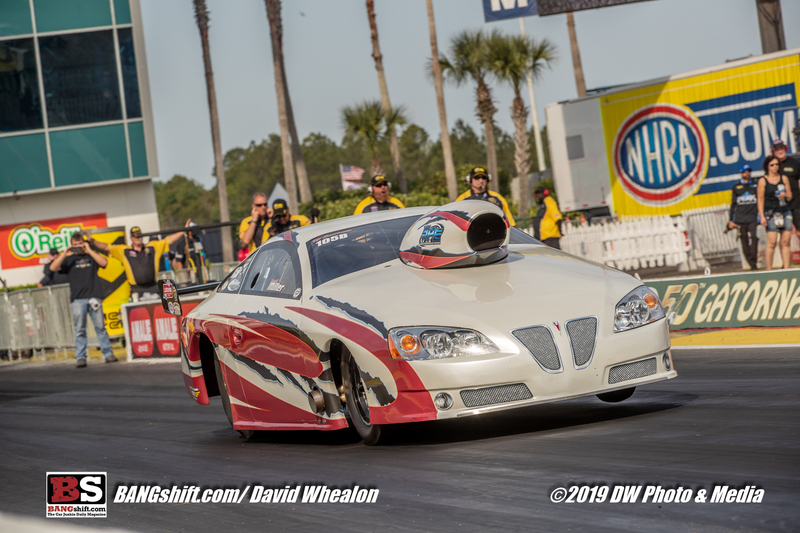 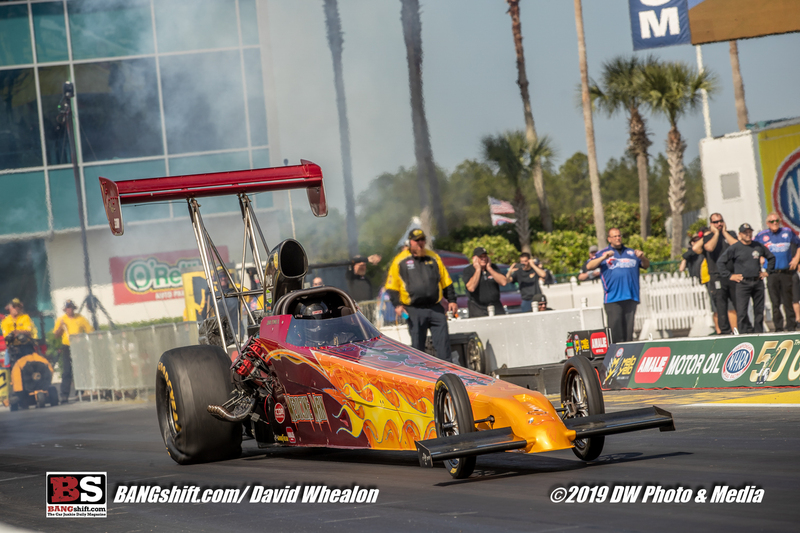 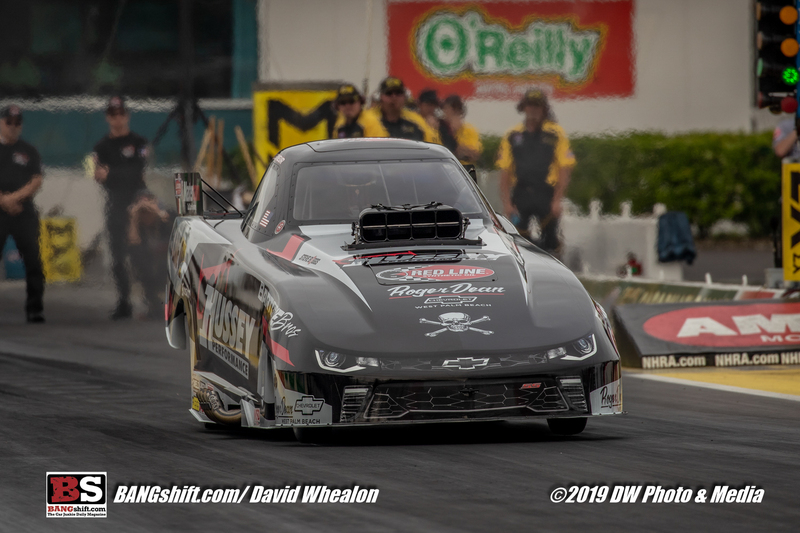 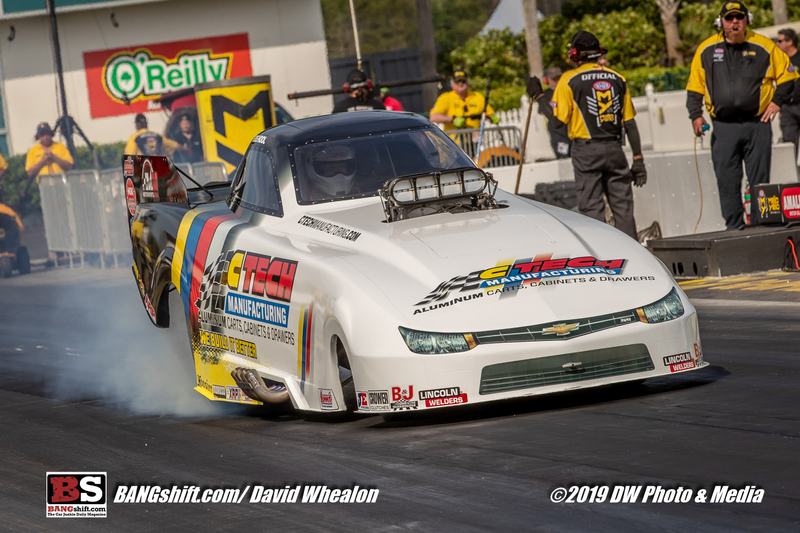 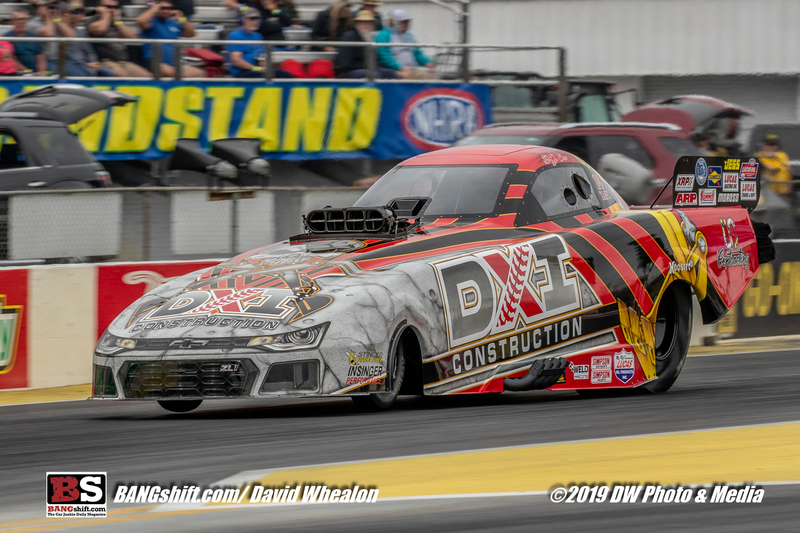 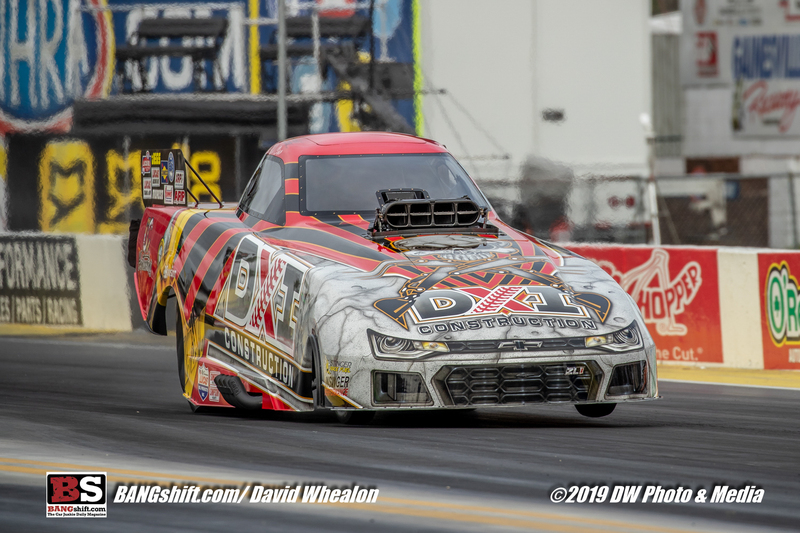 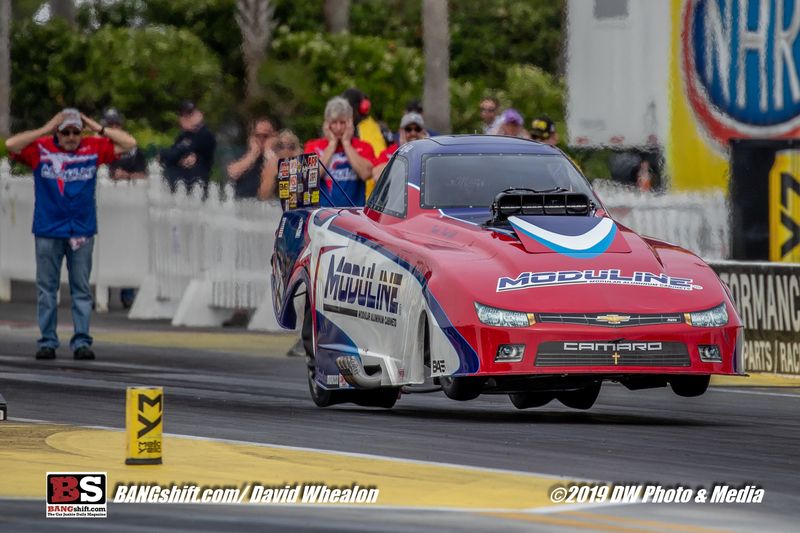 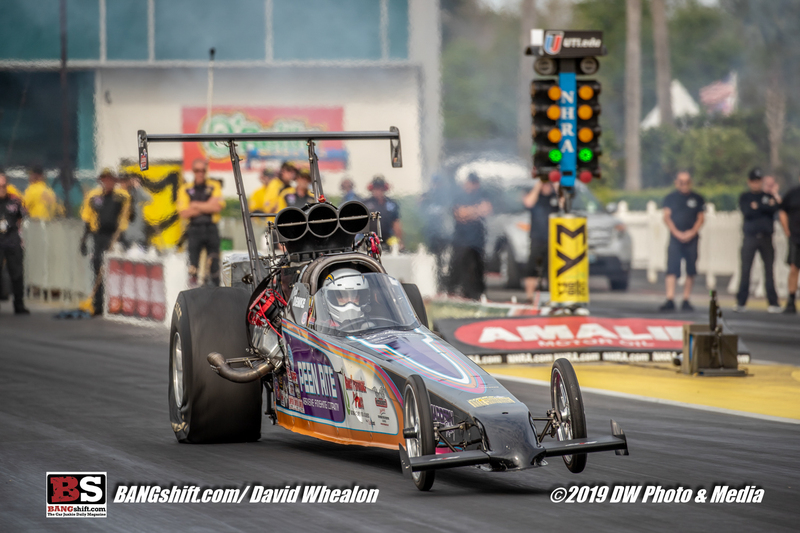 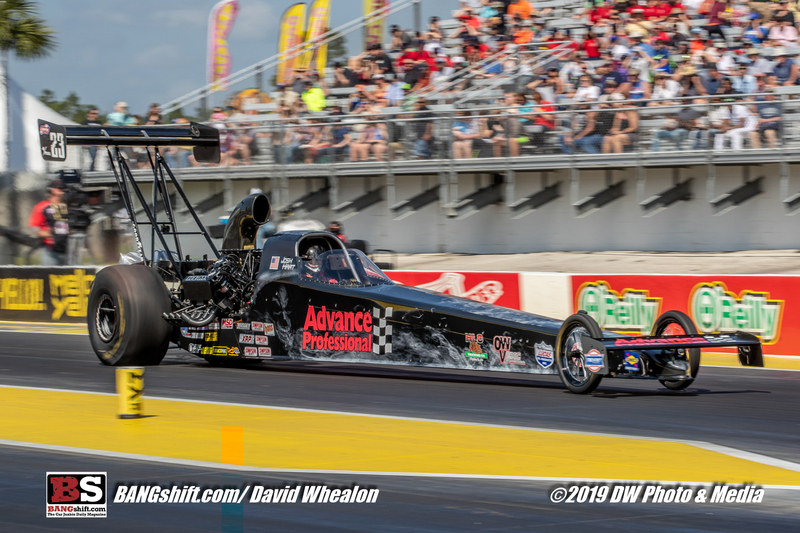 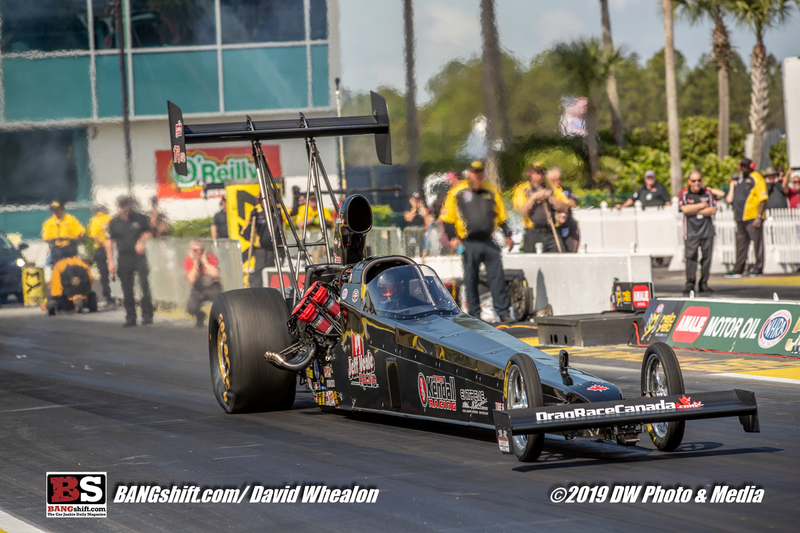 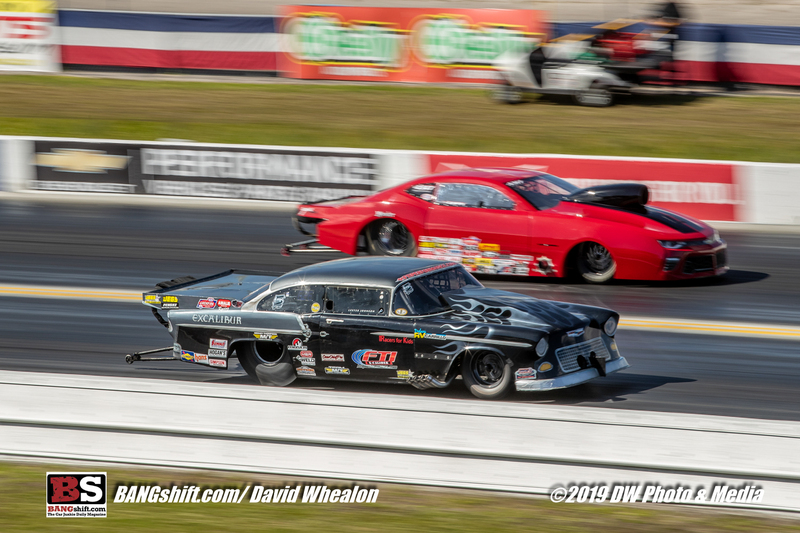 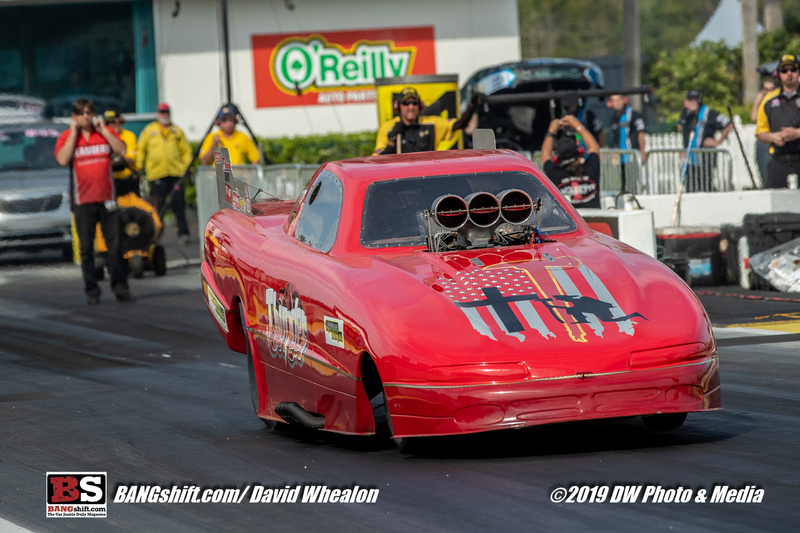 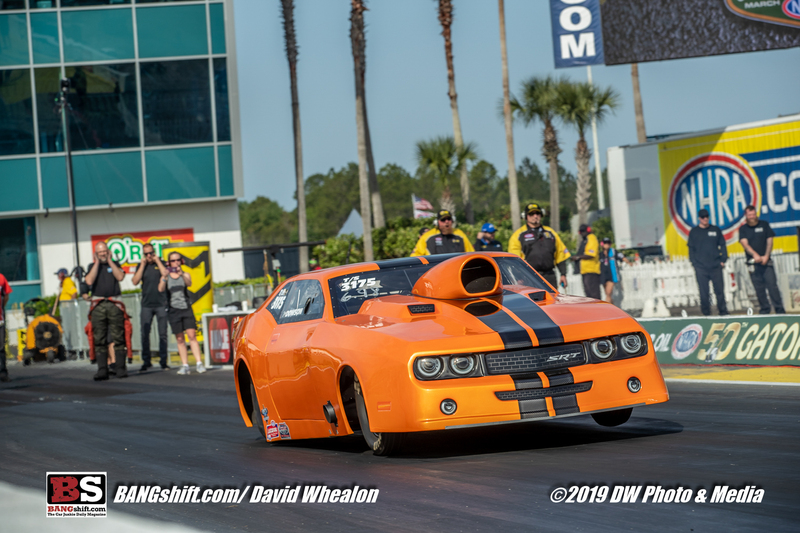 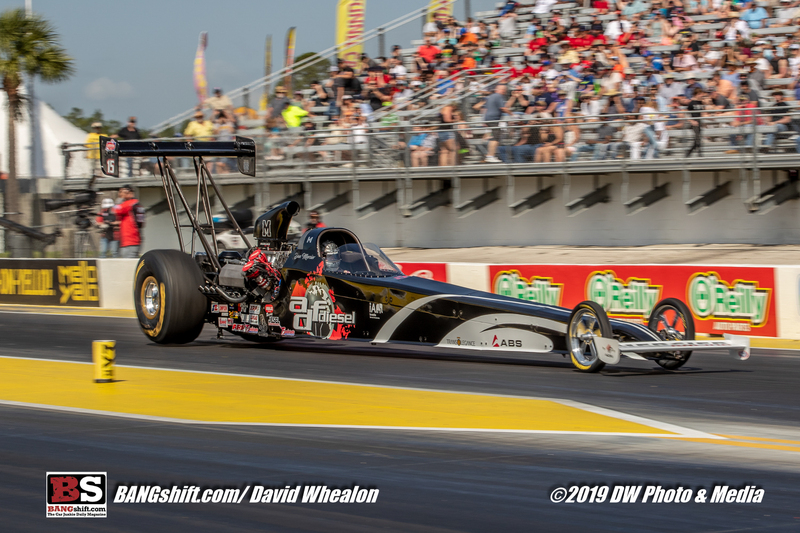 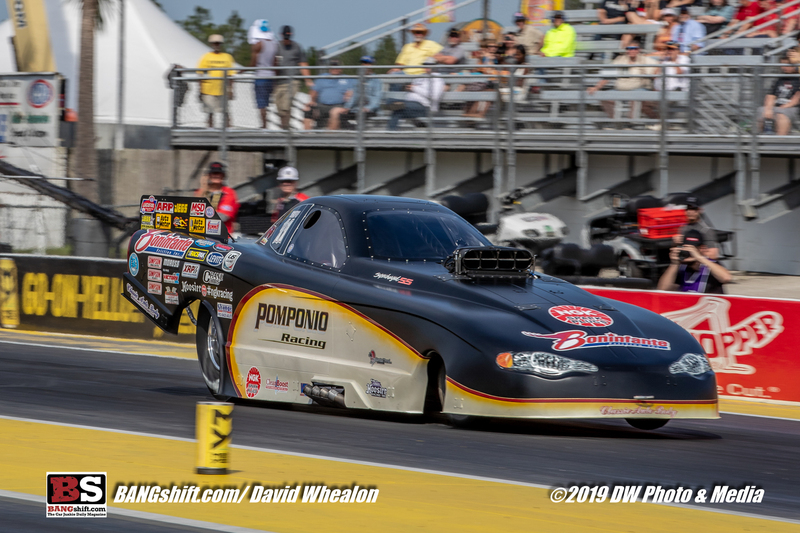 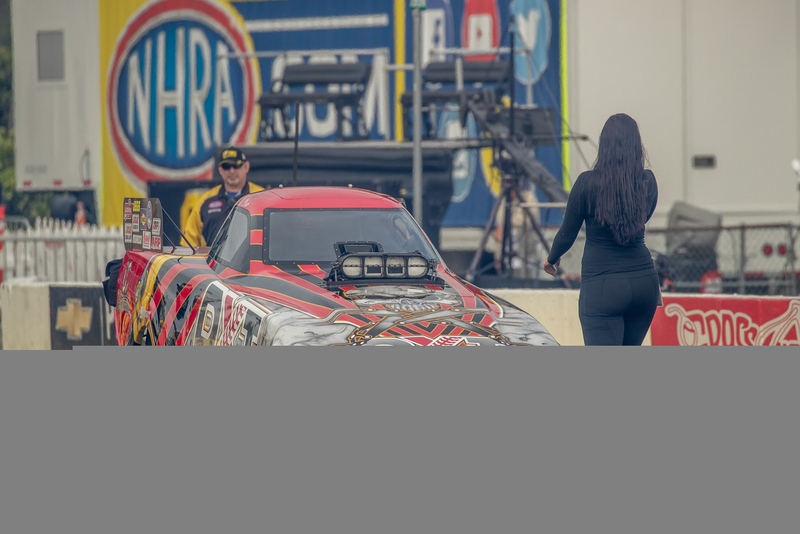 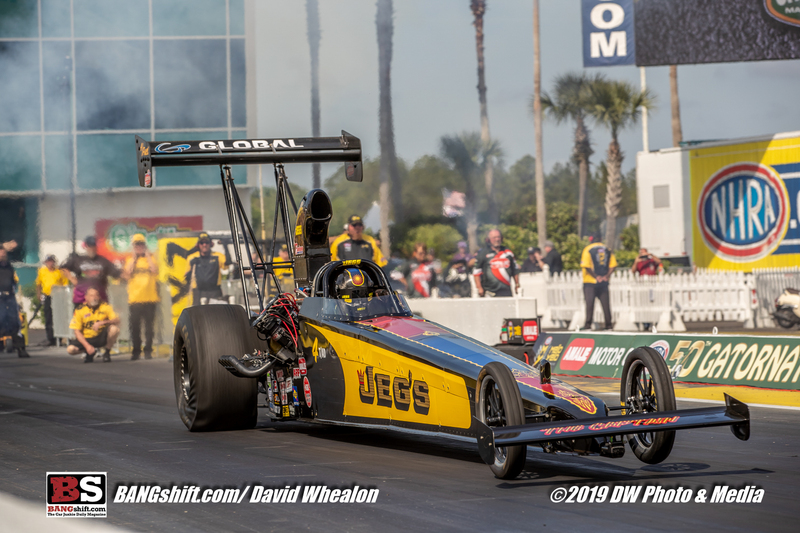 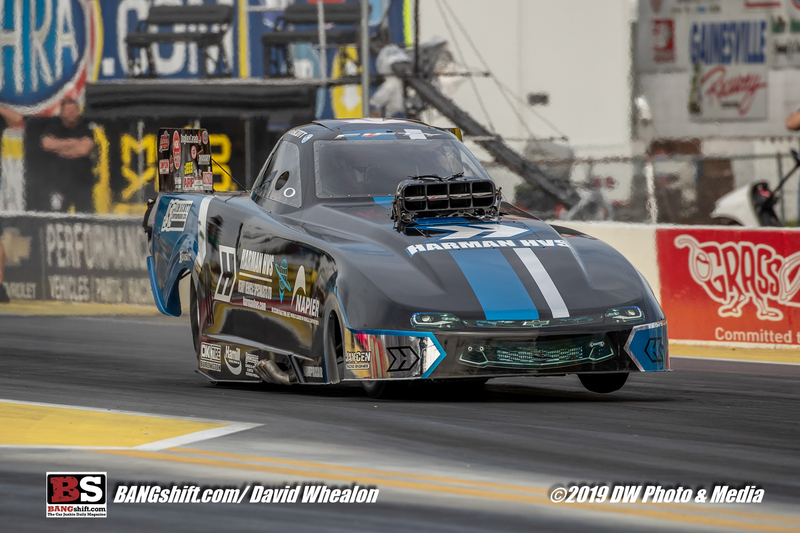 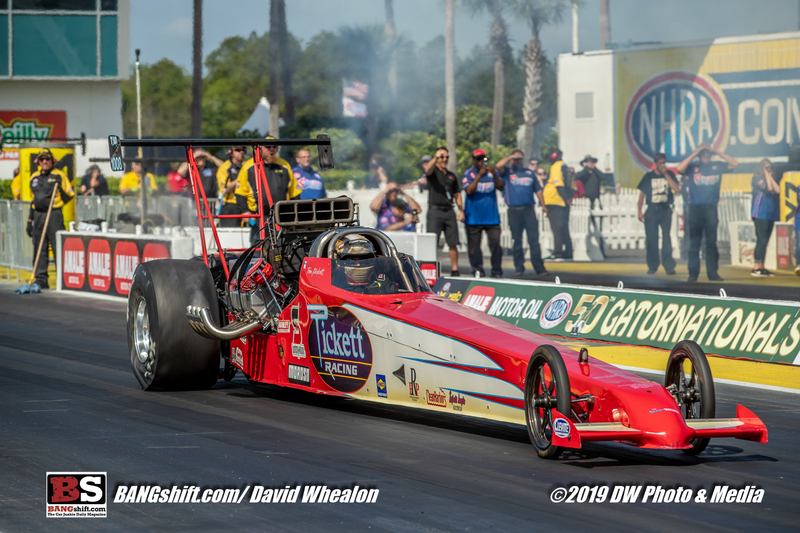 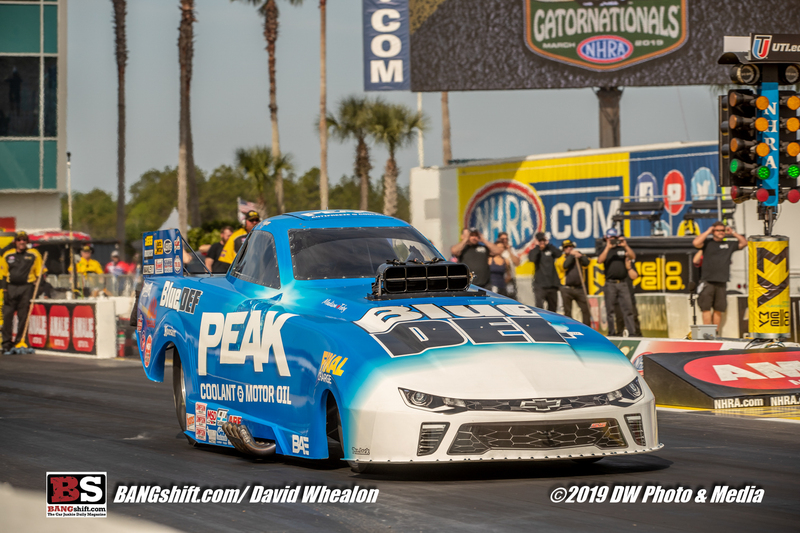 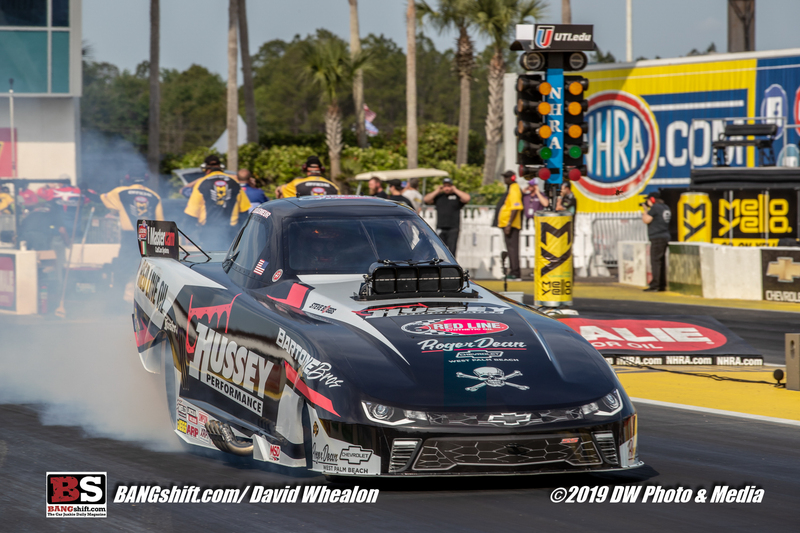 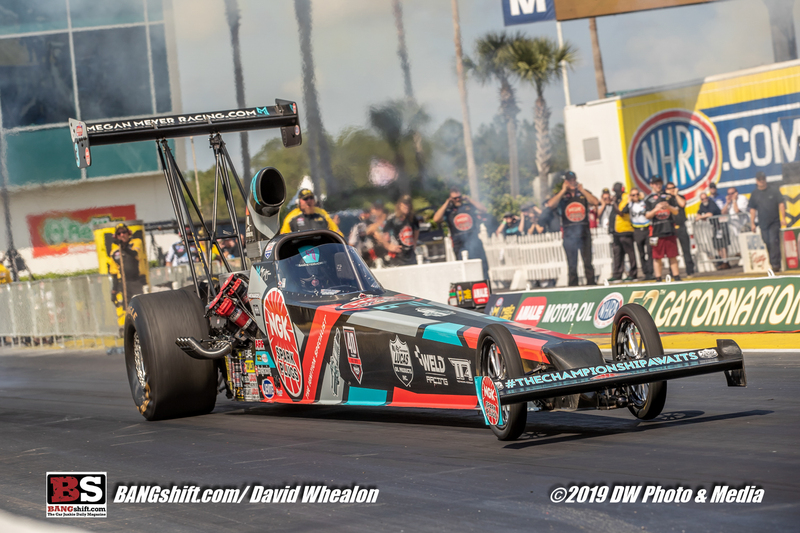 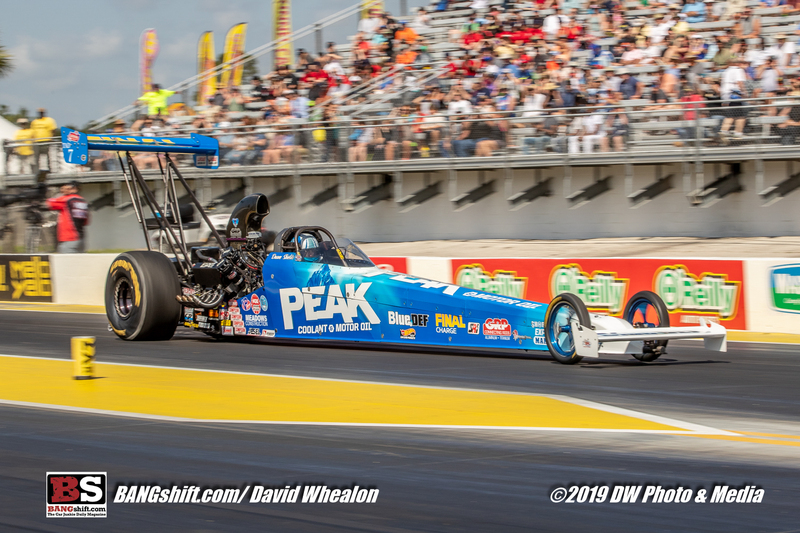 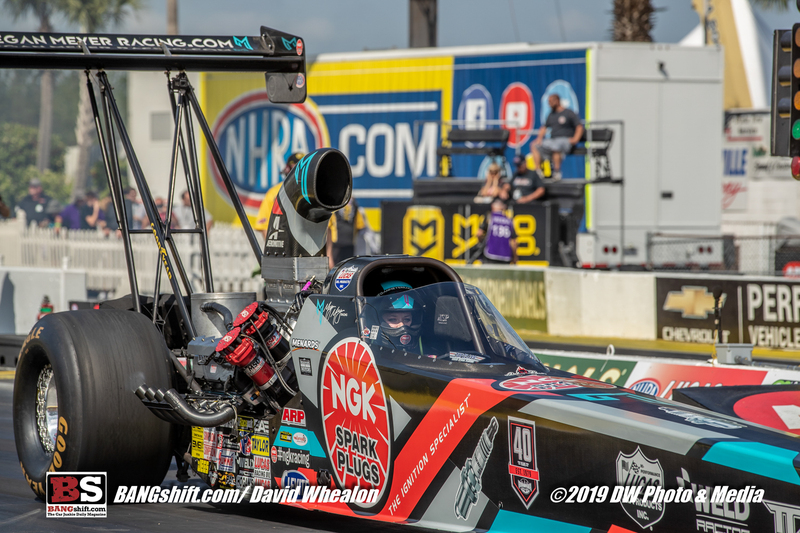 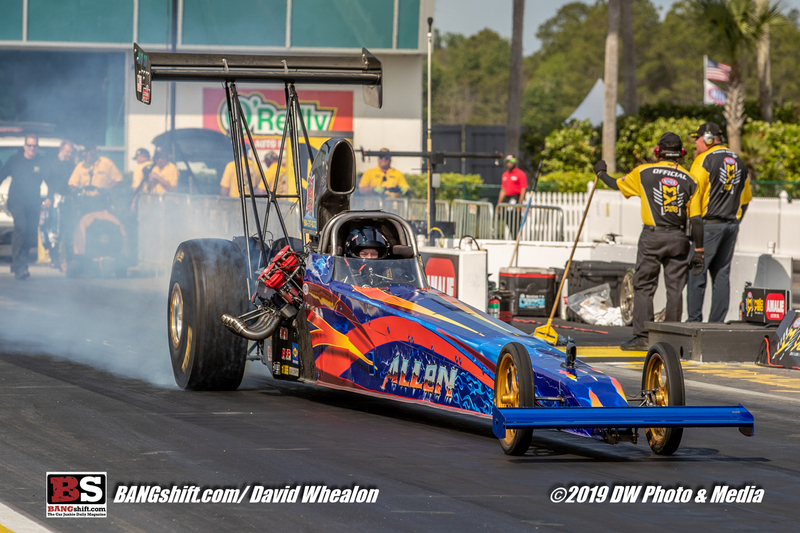 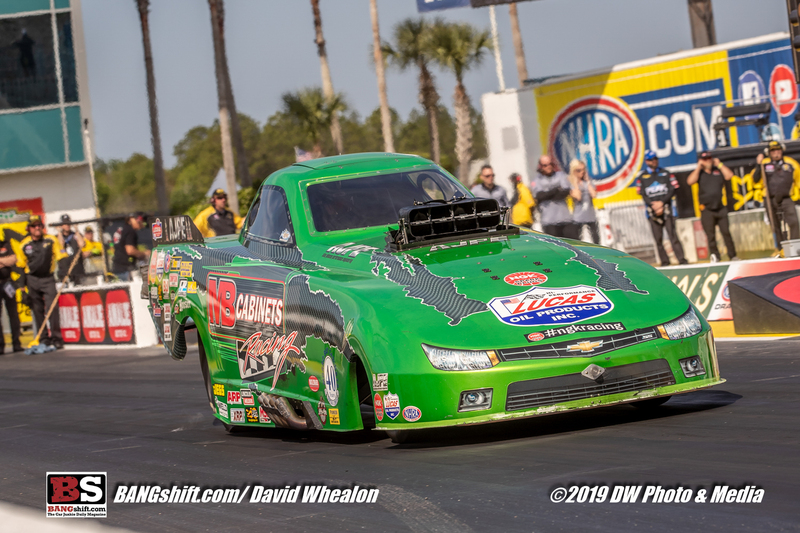 (Photos by David Whealon) – As much as we have talked about the pressures and awesome performances of professional racers at the 2019 Amalie Oil NHRA Gatornationals, the fact that there were something like 450 sportsman cars on the ground all vying for golden Wally trophies meant that the action in every class was wild. 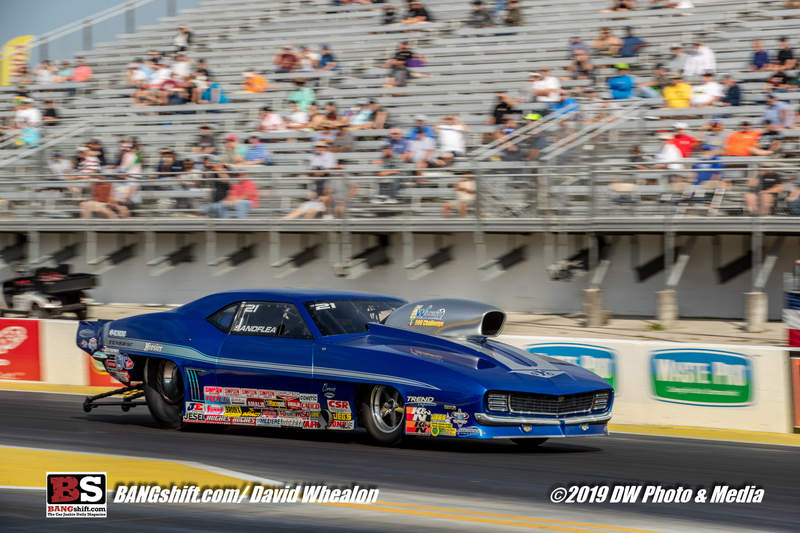 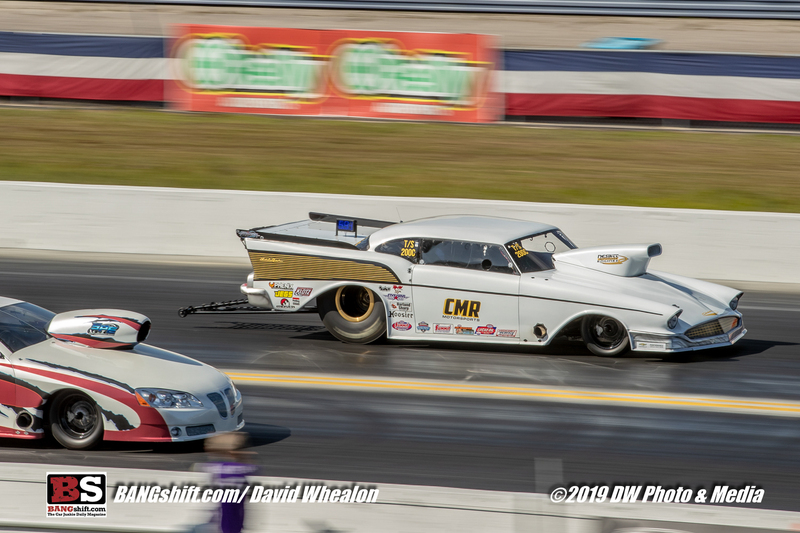 As we continue to run through David Whealon’s awesome photos from the event we decided to divert from the normal pro stuff today and show you this collection of sportsman cars. 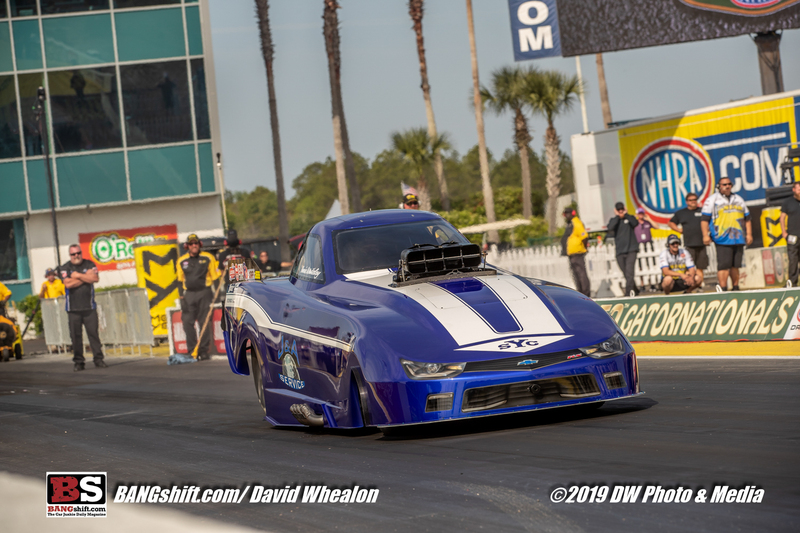 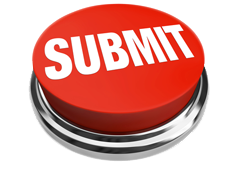 You’ll see top sportsman door slammers as as well as alcohol dragsters and funny cars. 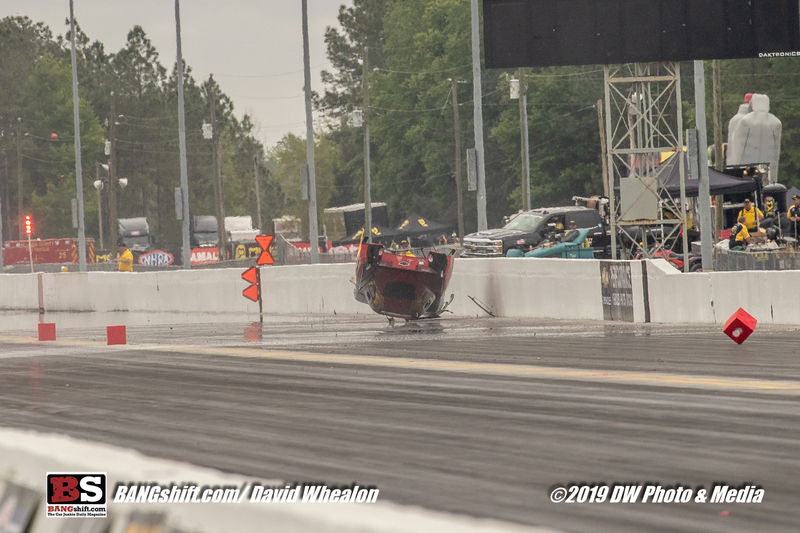 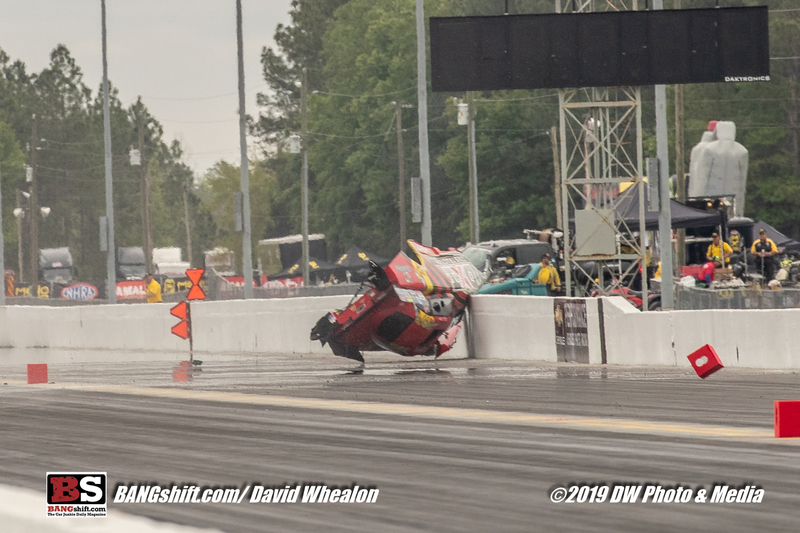 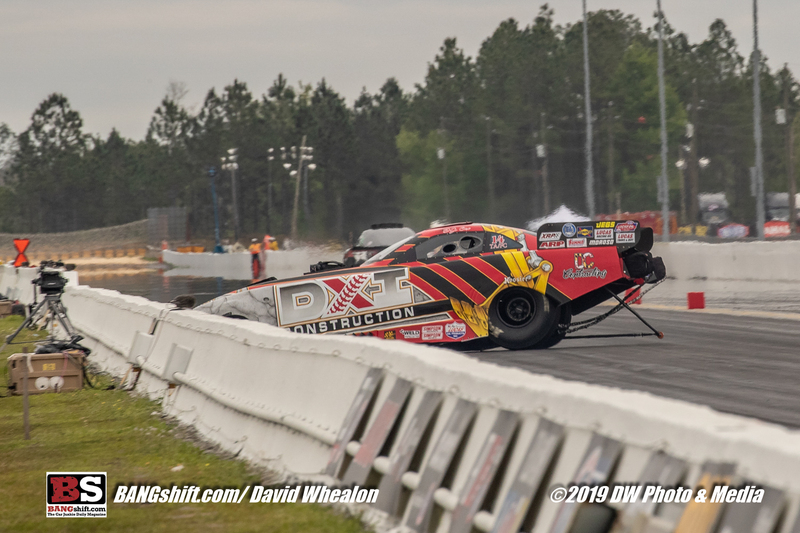 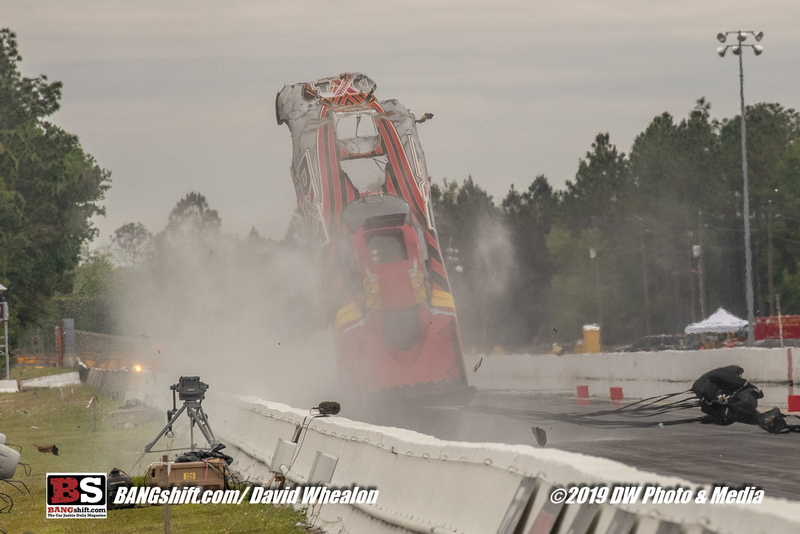 It was the alcohol funny car category that gave us all the chills at the event when east coast racer DJ Cox suffered a horrible high speed crash that David captured here. 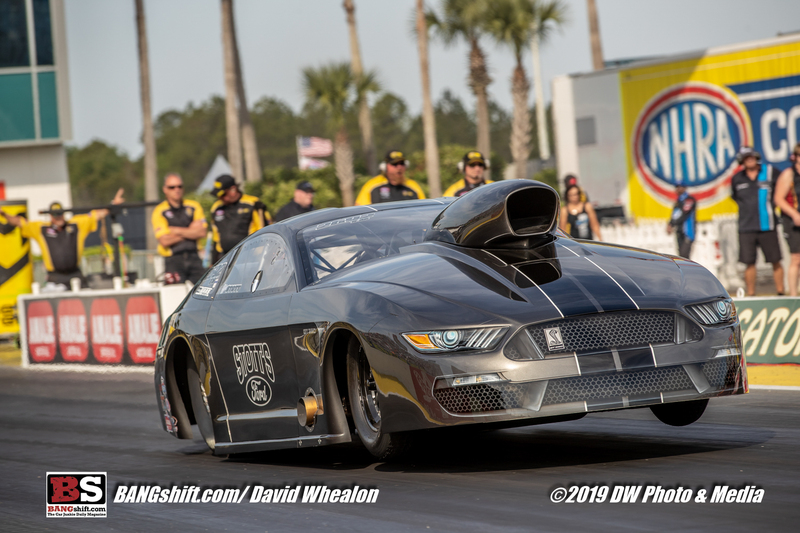 This car was brand new to the Cox family and was packing the best of the best in terms of equipment. 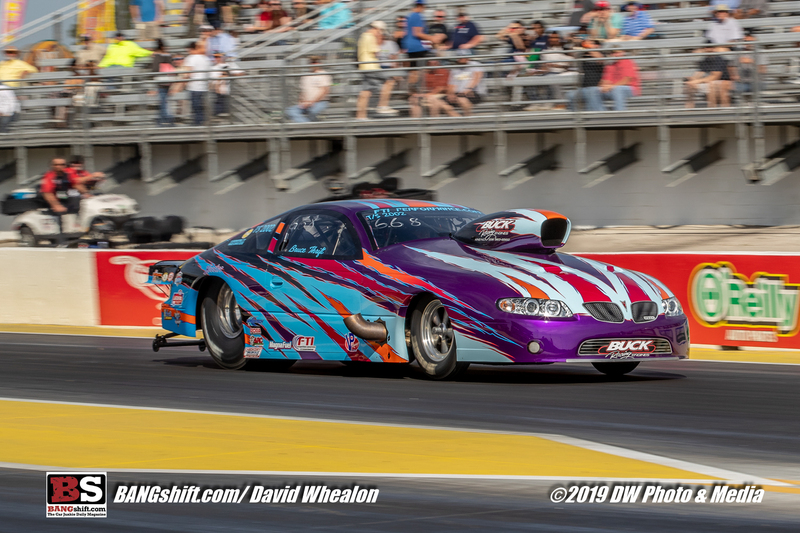 The car, as all the Cox family machines have been, looked stunning, wore a custom paint job (NOT A WRAP! 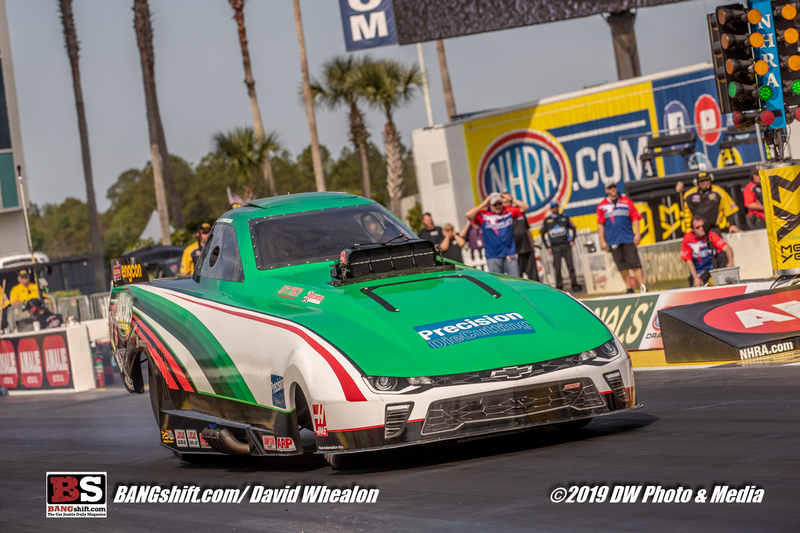 ), and was voted as best appearing by NHRA officials. 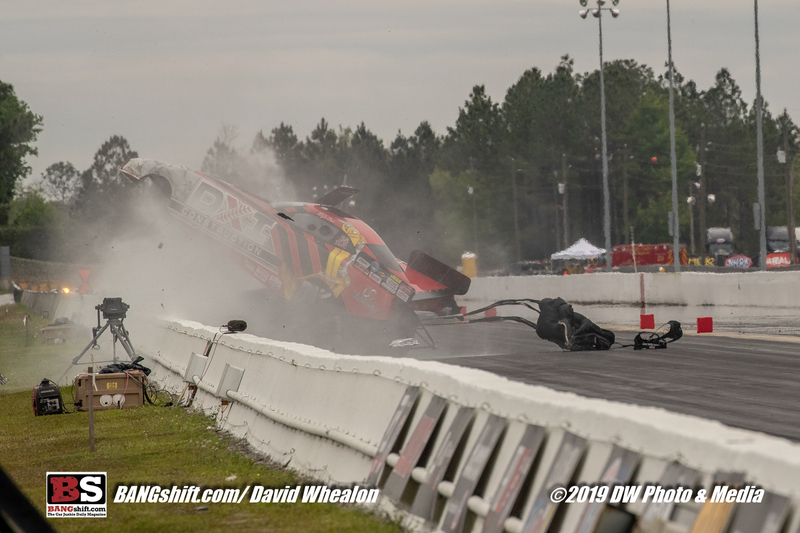 It was then thoroughly destroyed in the wreck you will see below. 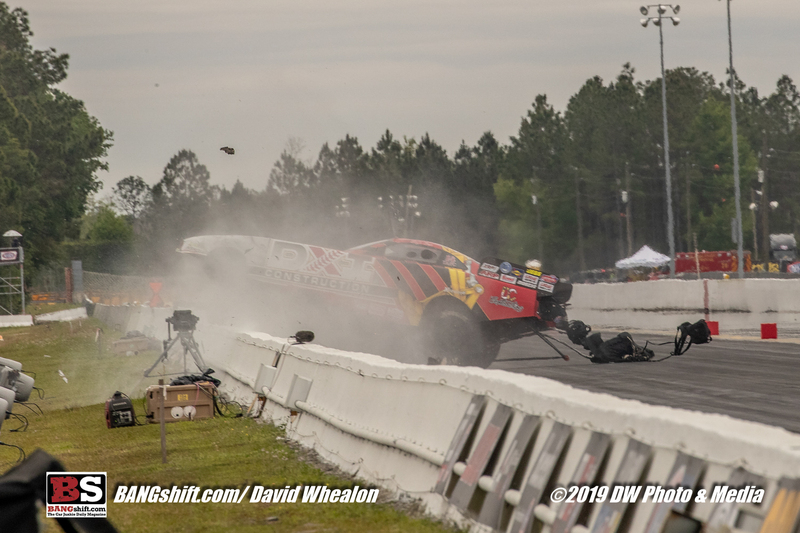 DJ was beat up but OK, the car was not. 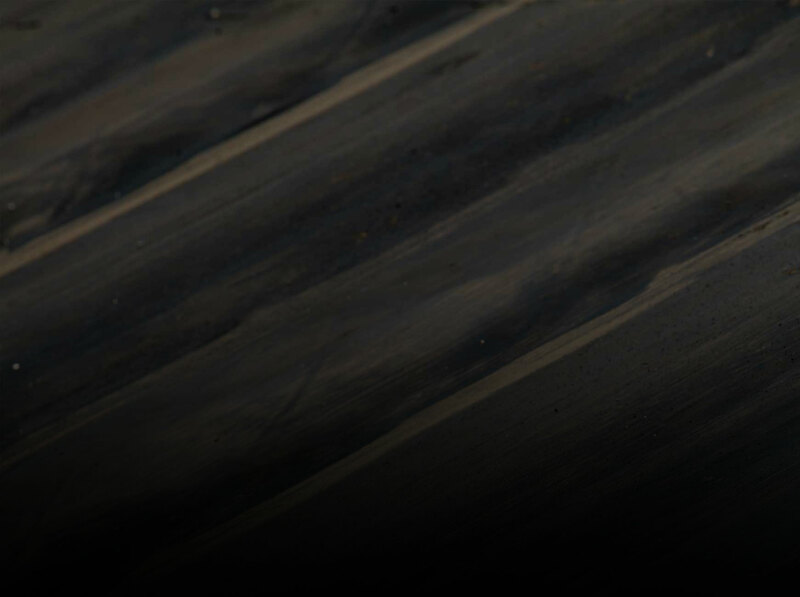 It did its job and protected him, though, which is important. 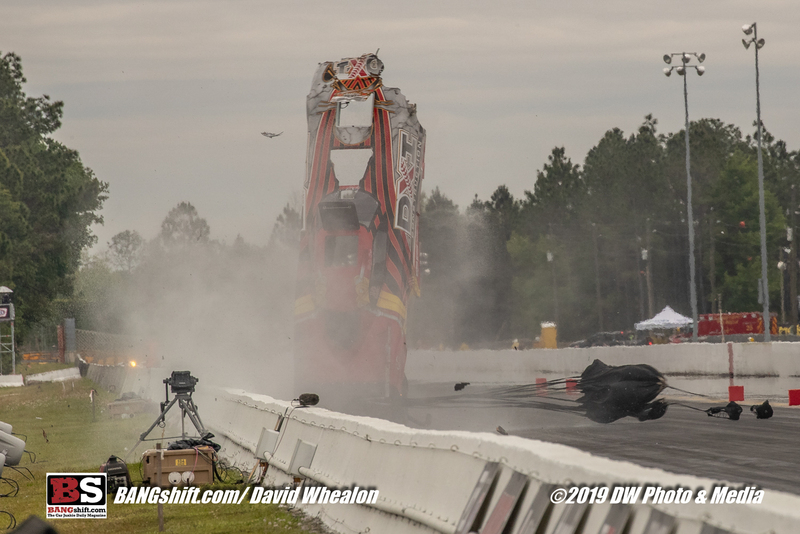 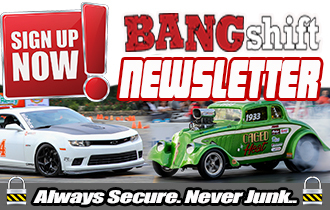 Check out the burnouts, the launches, and the cool stuff that was happening in Gainesville featuring the backbone of drag racing, sportsman action! 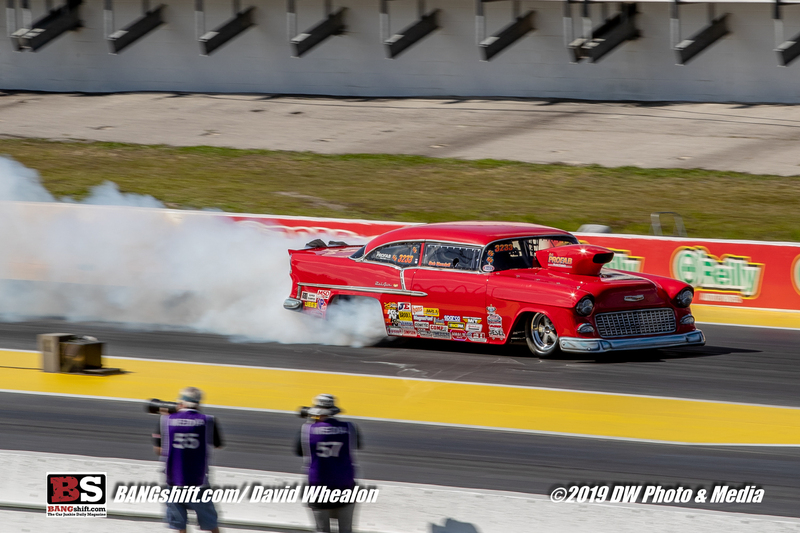 3Dog Garage Tour Gallery: A Look A The Second Floor Of America's Most Jaw Dropping Collection Car Show Photo Coverage: 2019 Summit Racing Equipment Piston Powered Expo - This Show Rules!